RoadKing Freight Logistics is a trustworthy and reputable shipping service provider, and is known for being “client-friendly”. The clients get promised dedicated services from us. Our dedicated, experienced and knowledgeable staff always puts the needs of the customers first. RoadKing provides lowboy specialized transportation in USA. We guarantee safe and timely delivery of our clients shipments. We ensure fair prices for all lowboy specialized transportation. All of our lowboy specialized trucking in USA are capable of taking on all of your biggest projects. With our partners in the shipping industry you can always count on a truck being available for your freight. RoadKing Logistics arranges the specialized transportation for customer goods anywhere between the US and Canada in a most cost-efficient manner. 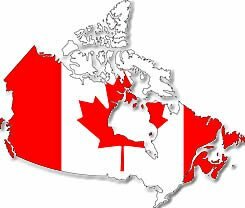 International shipping services for Vancouver or Regina, Saskatoon, Edmonton, Calgary, Montreal, Ottawa, Winnipeg, Toronto, Edmonton, Calgary and Toronto are also available. With the help of the newest technologies including GPS, we can keep track of all of our carriers and ensure our clients can always track their shipments. With our carefully selected team of drivers we make sure that all of your freight gets to its destination on time and damage free. Our service delivery has always enjoyed the reputation of being rated by our customers to be the best in the business. No matter how complex your shipping needs are, you can always count on us for a dependable solution. RoadKing is not only committed to providing quality service to North America, but also pride themselves on excellent customer service. If you are looking for a carefree and specialized trucking service in the US, we are always available at RoadKing toll free number: 1-800-507-1669.